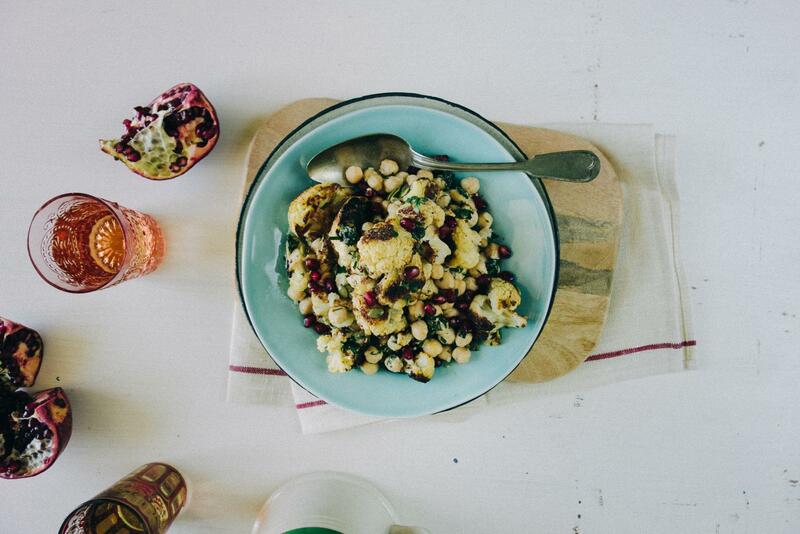 Roasted cauliflower chickpea salad is like no other salad. It’s hearty, filling and makes the best side dish. “What am I going to serve my roast chicken/pork/beef/lamb with” ? I’m sure we’ve all been in that dreaded situation. You’ve invited friends over the last minute for a “quick bite” and seem to be stuck staring at the refrigerator! This is exactly the scenario I found myself in the other night. Now, I’m not suggesting that everyone will have these items at their disposal but I always have canned legumes in my pantry. And they were a life saver. I whipped up a butterflied roast pork and accompanied with this Middle Eastern inspired salad. I often hear people complain about cauliflower being “boring” or “tasteless” and then watch them devour it once it’s been roasted. Roasting cauliflower, like many other veggies enhances its flavour and takes it to another level. I love how it gets slightly caramelised and the edges are a little charred. I combined the roasted cauliflower witha can of drained and rinsed chickpeas. I added a little chopped parsley and mint for freshness and dressed it in a tahini and lemon dressing with a little sumac. For an elegant and optional touch I garnished it with pomegranate seeds, building on those Middle Eastern inspired flavours. I loved it so much I had to recreate and share it with you all on the blog. What’s your “go-to” salad or side when entertaining? 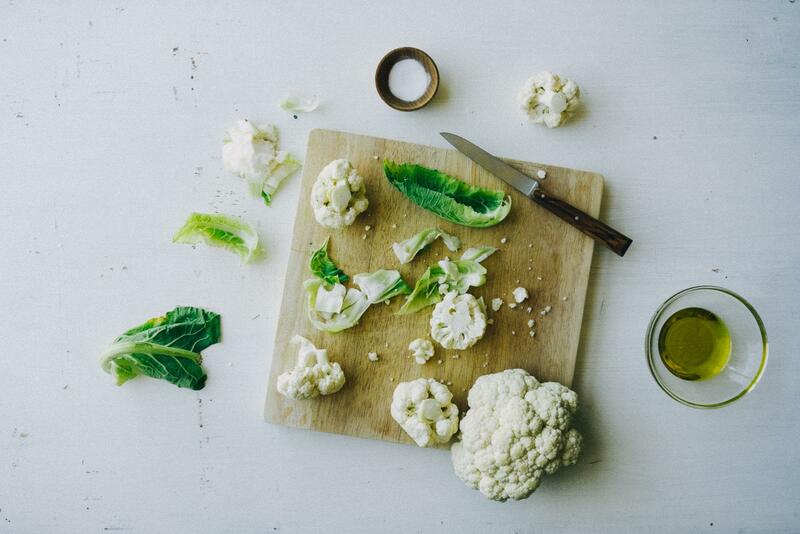 Toss the cauliflower florets with the olive oil and season with salt and pepper. Line them evenly on a baking tray and roast for 30-55 mins until tender and caramelised. Once cooked set aside to cool. In a large bowl, combine the cooled roasted caulflower along with the chickpeas, mint and parsley. Whisk the tahini dressing in a separate jug or small bowl, ensuring it is smooth. If you find it is not blending add 1 tbsp of warm water. Toss the tahini dressing through the salad ensuring it coats everything evenly. Plate it up and garnish with pomegrante seeds.